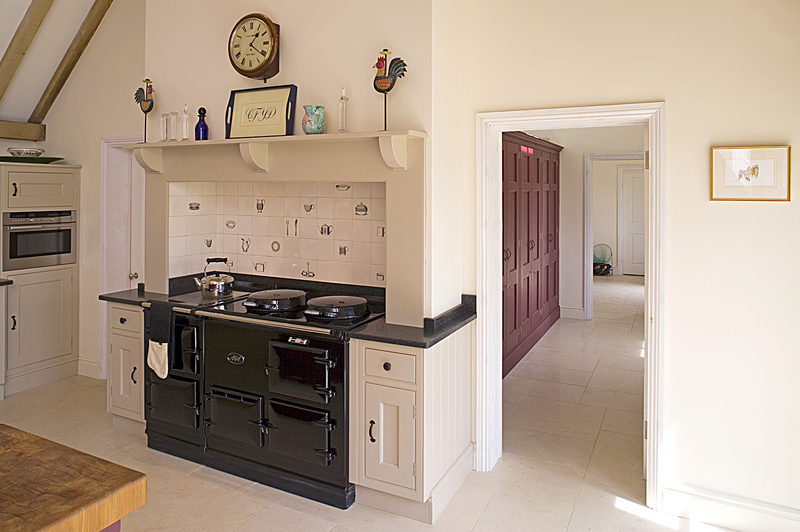 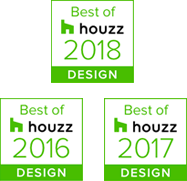 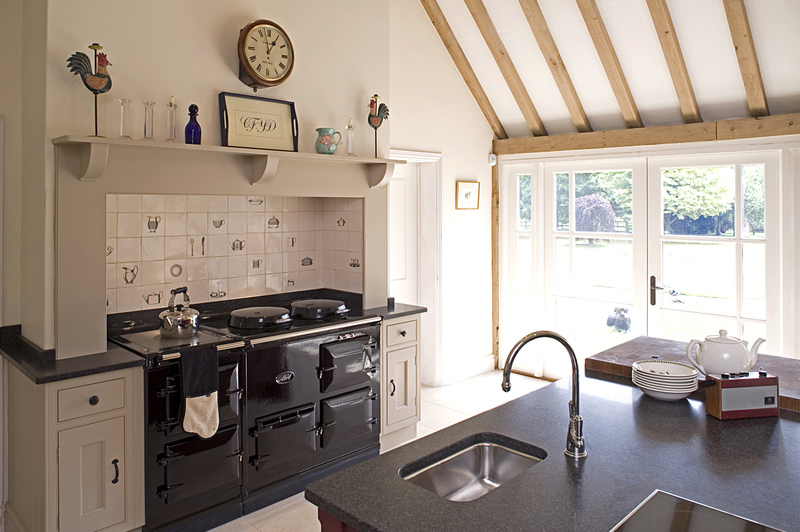 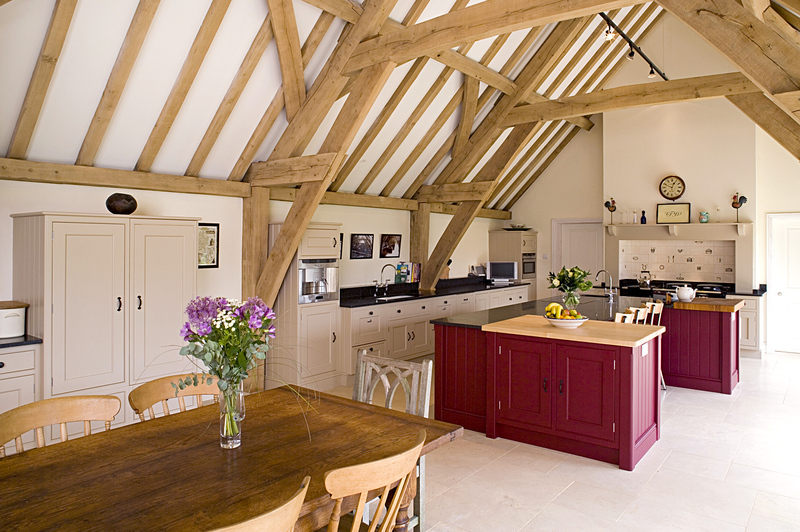 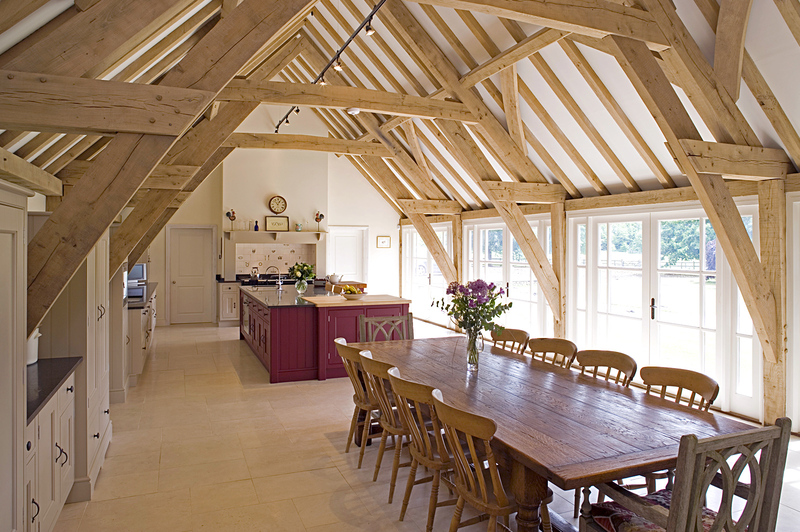 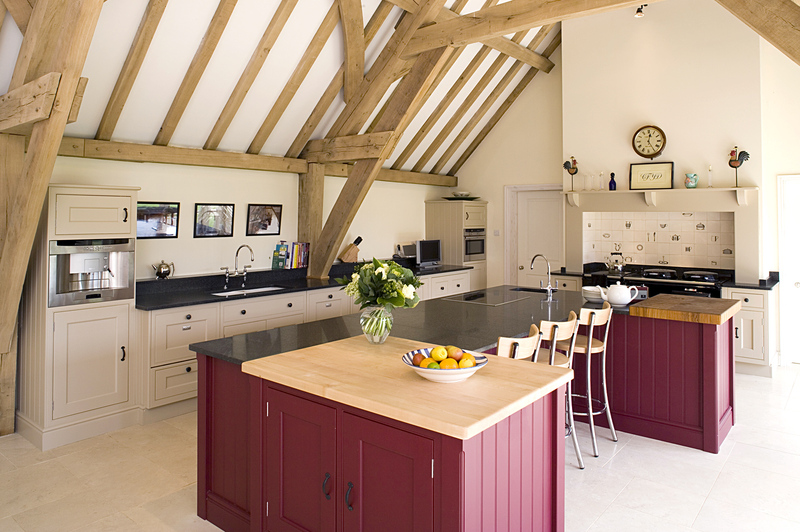 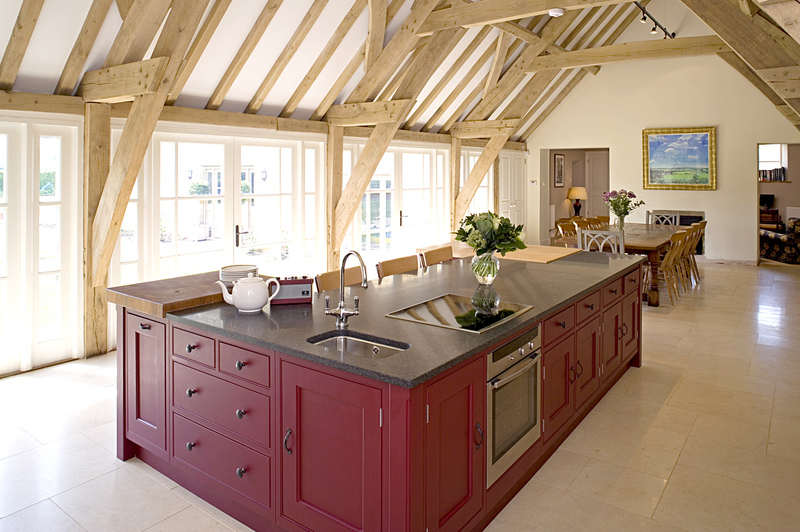 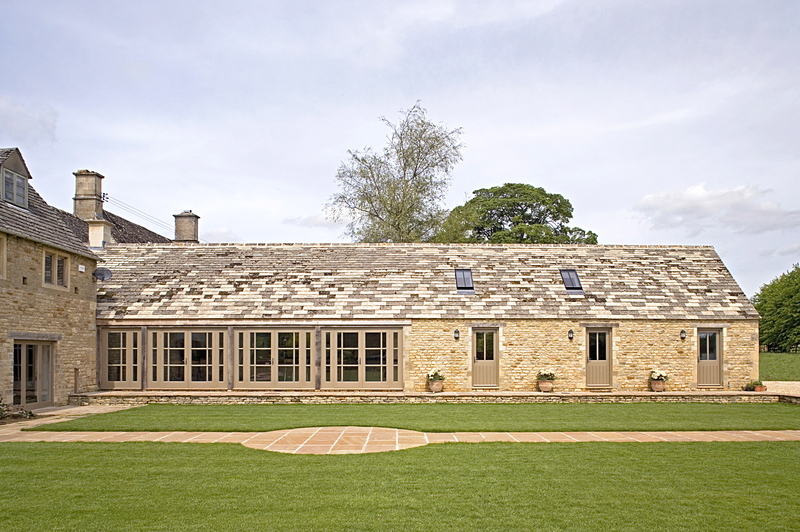 The drama of this amazing barn conversion came from a strong approach to the kitchen without taking anything away from the architectural features of the room. 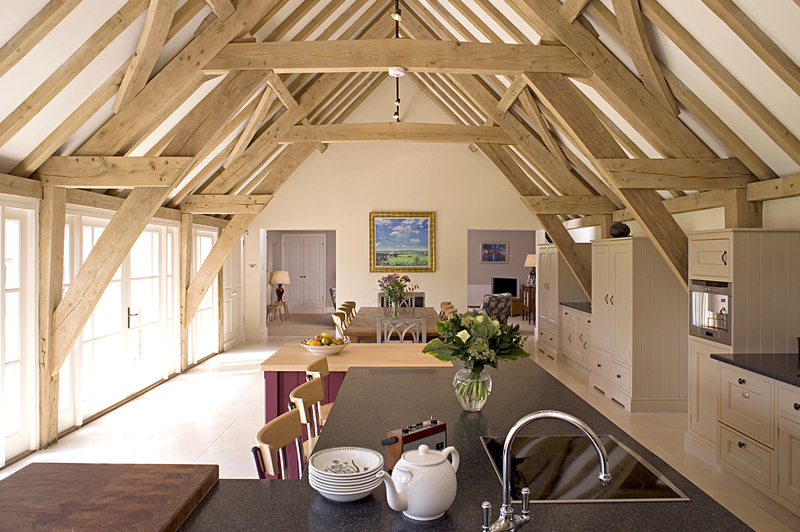 Key was keeping the perimeter furniture at low level and in muted stone colours so that they blended into the natural oak of the beams to convey an even greater sense of space. 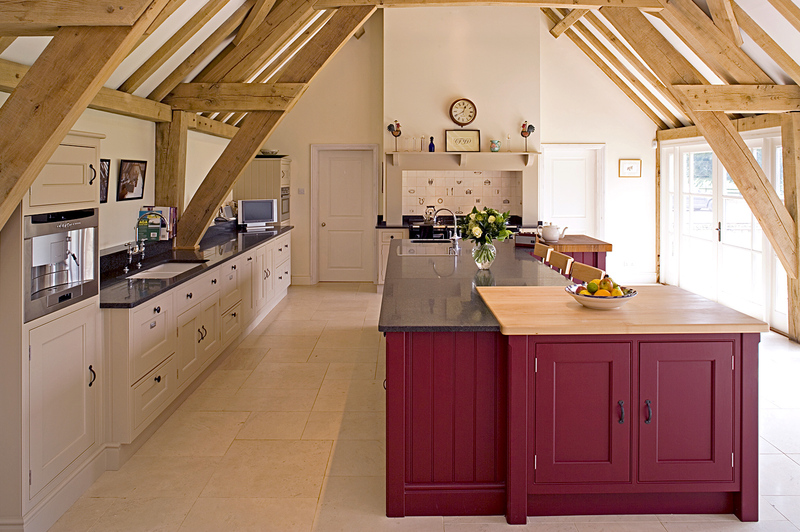 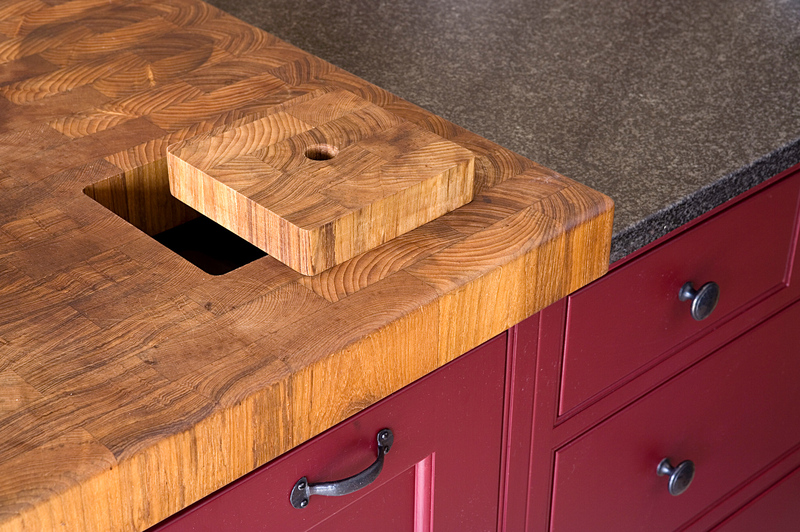 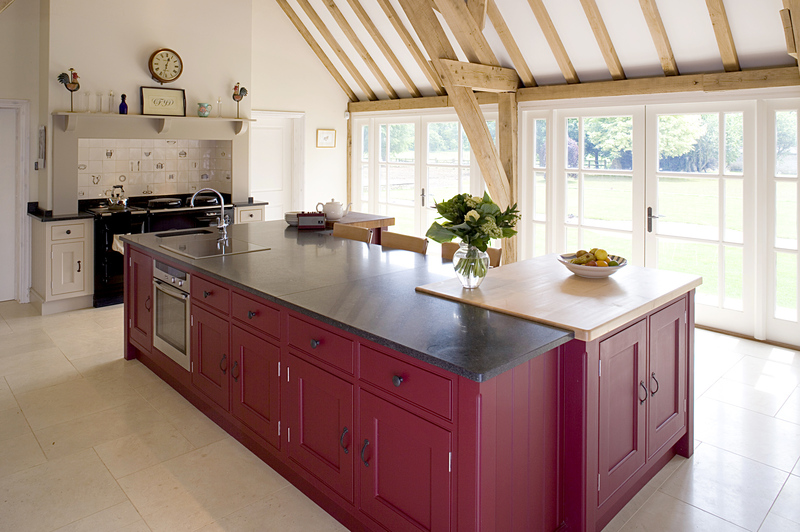 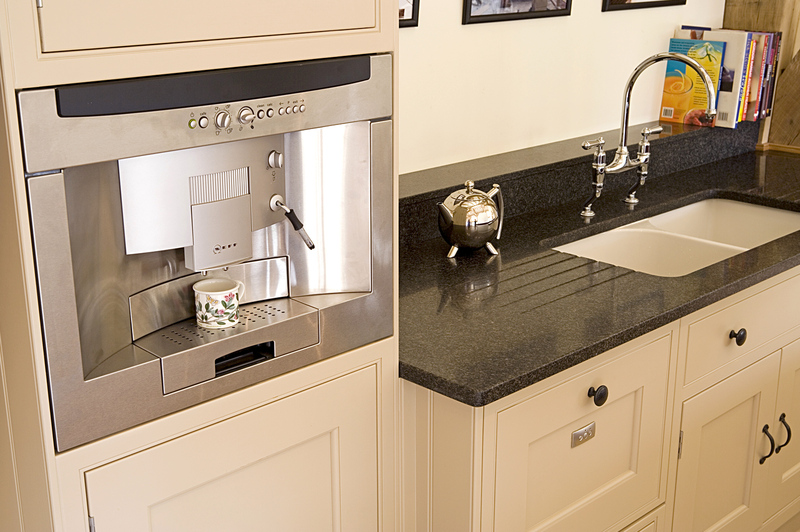 The large island provides all the colour and focus with a strong deep red and the mix of natural work tops in oak teak and granite which contrasts brilliantly with the pale limestone flag floor.